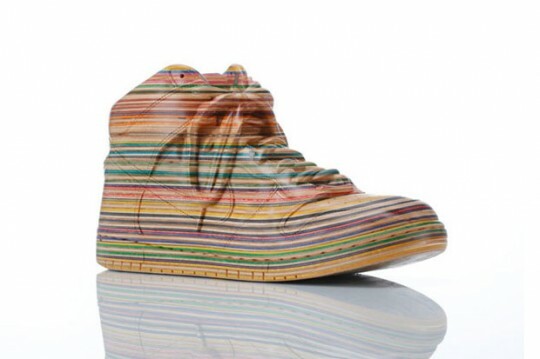 Take a closer look at the wooden Dunk-Hi sneaker from Japanese artist Haroshi in collaboration with Nike. Sculpted from the used decks ofÂ skaters from Nike’s own Pro Skate team, the design includesÂ P-Rod, Lance Mountain, Eric Koston, Brian Anderson, Cory Kennedy, among others. A seriously cool collaboration, and one we hope won’t be the last.